Television will soon enough have a competitor that vies for the eyeballs of Internet users. Original Web programming is making its gains, but this format has still yet to prove itself among terrestrial TV viewers. But that doesn’t mean studios and creatives aren’t trying to make it big on the Internet. The these upcoming Web-only shows look promising to us. With the wildly successful J.K. Rowling book series over and done with, there are no Harry Potter movies left to appease devout fans. There may be a fraction who have shifted their loyalty to the Twilight series, but vampires just aren’t the same. Auror’s Tale is the latest fan-made Harry Potter inspired series. By watching the trailer we’re expecting that there will be plenty of wands and “Avada Kedavra” spells for spell casters to dodge, but this series in particular, as its title indicates, revolves around Aurors, an elite unit of highly trained officers that investigate crimes related to the dark arts. The series was shot with the help of the funding from a Kickstarter campaign and has a summer release date, but the exact scheduled has yet to be announced. The series will premier its first 10 episodes, each between five and seven minutes long, on Yahoo Screen beginning July 17. The remaining episodes of the 90-minute series will be released between July 18 and 19. Warner Brothers is dipping its toes in original Web content as well. Produced by Bryan Singer (X-Men: First Class), and co-created by John Cabrera (Gilmore Girls) and Cosimo De Tommaso, H+ is a big budget sci-fi project backed Warner Premiere that has been six years in the making. The series is set in an era where technology has advanced enough that we can plug people directly into the Internet by implanting an HPlus chip into the brain – think Google Goggles without the headset. Then users suddenly begin to die off in masses caused by a fault in the chip. The trailer for H+ premiered with fanfare at Comic Con 2011, but soon after its creators seemed to have disappeared and rarely updated the H+ social media accounts for a period, leaving some to wonder if the project had been stalled. However, Cabrera and Warner Premiere returned to announce that the Web series will premiere on August 8 and debut new episodes every Wednesday on its own YouTube channel, HPlus Digital Series. 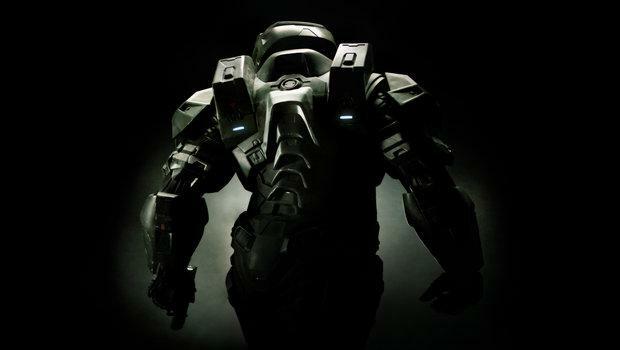 With the latest sequel to the Halo franchise coming out this November, Microsoft pushing forward with its own live-action Web series, Halo 4: Forward Unto Dawn. This series has taken a life of its own. It’s so good, in fact, that many think it could be the blockbuster success that puts Web content on the map in a big way. The series, created by both Microsoft and Machinima, chronicles a battle between humanity and the Covenant, and promises to offer fans insight into the Halo back story. Halo 4: Forward Unto Dawn will debut this Fall on Machinima with 15 minute long episodes, leading up to the launch of the November 6, 2012 release of Halo 4.